We have left the Natchez Trace. Since this is our third trek up the Trace we were OK with turning off and moving east. 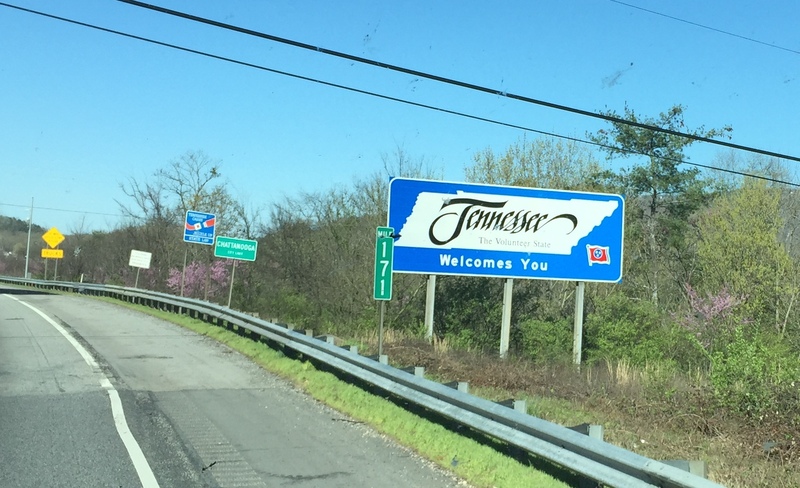 Last year we went all the way to Nashville, you can read about our Natchez Trace Parkway trip from this point up by clicking HERE. Our (almost) daily diary post is brief today. This day was just a travel day, no adventures, not many photo opportunities. We drove all the way through Alabama. We’ve been seeing a lot of some pretty purple blossoms in the trees. 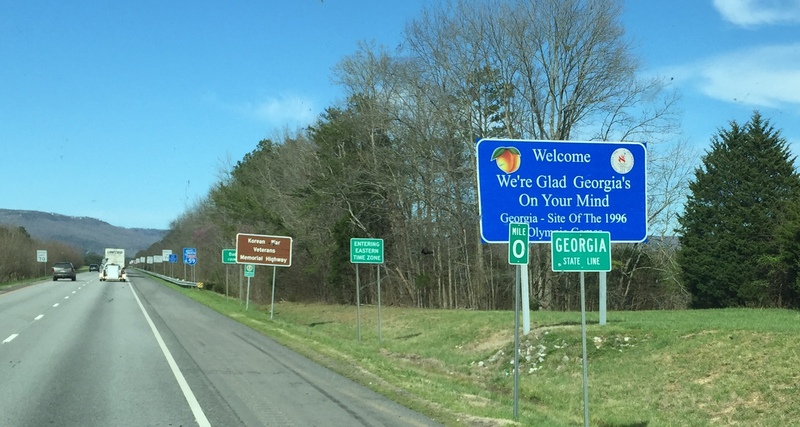 When we crossed the Georgia state line, we also crossed into the Eastern Time Zone. And then about 20 minutes later we enter the state of Tennessee since the road we were driving on just nicked the northwest corner of Georgia. We’ll be spending the night at a Walmart near Chattanooga, TN, tonight. We’ll decide tomorrow where we will go or what we will do next. A lot depends on the weather reports. This entry was posted in Alabama, Daily Post, Georgia, March, Tennessee. Bookmark the permalink.